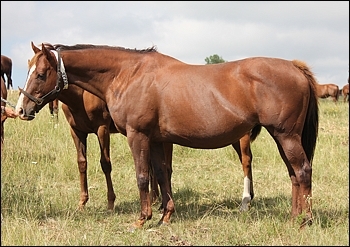 Vogue is an attractive chestnut mare standing at Peter and Jenny Blyth’s Clifton Stud, and they would never have owned her were it not for a package deal arrangement. By Model Man out of Thousand Nights by Foveros, she descends from a phenomenal dam-line and she is passing this on to her progeny. “There is quite a story about this mare,” explains Peter Blyth. “I bought all of a package of 25 horses off the owner to secure Vogue, because he was packing up and I knew that this mare was the whole package; she would have gone for a high price if she had been sent to auction. 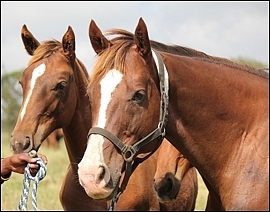 I said to the owner: ‘let’s agree on a price for all of his package which comprised of mares and their offspring. ‘So I bought them all, this about ten years ago. There were some reasonable mares amongst them. I sold many of the others which were not viable. 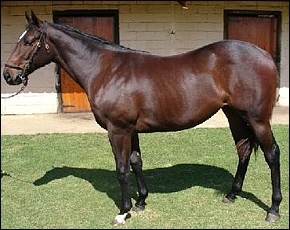 Her dam Thousand Nights won eight times, including a Listed race, and with that sort of record and being by one of the best sires in South Africa namely the Scott Bros’ Foveros, she was sent to stud. She produced Equus Champion Male Stayer in 2003 and 9 time-winner Highland Night. From the age of 3 to 6, he won over distances of 1600 – 3200m including the Gold Cup Gr.1 which he won consecutively – and the Lonsdale Stirrup Cup, Gr.3. Thousand Nights then produced a full-brother to Highland Night in Night Watch by Badger Land. He was a 5-time winner at 3 to 4 over 1200 – 1800m including Falcon Sprint (L) and he placed 6 times including second’s in the Graham Beck Stakes Gr.3, the Hyperion Handicap (L) and a third in the Gold Challenge Gr.1. She also produced Prince Asad by Al Mufti, a six-time winner from 3 to 5, versatile over a distance of 1000 – 2800m. His wins include the Gold Circle Derby Gr.2, J & B Met Reserve Stayers Gr.2 and he placed 9 times. Another son, Warm White Night, a flashy looking bay with white stockings and a big stripe ensured he got the opportunity to go to stud by winning seven times from 2 to 4 over distances of 1000 – 1200m. 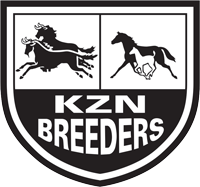 His wins include the Gold Reef Resorts Medallion Gr.1, Cape Flying Championship (WFA), Gr.1, The Nursery Gr.2, Protea Stakes Gr.3 and the Man O’War Sprint Gr.3. Vogue is a half-sister to these champions. Vogue held up her end of the bargain and won five races and was placed eight times. 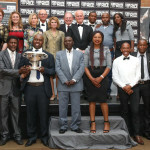 She placed second in the Gr 1 SA Fillies Sprint and Vaal Platinum Listed Handicap. 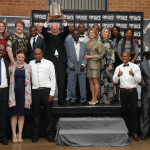 She placed in the Swallow Listed Stakes, winning over R300 000 in stakes. 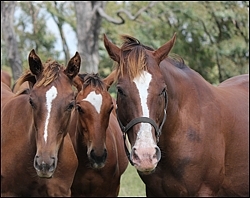 Vogue has produced six foals. 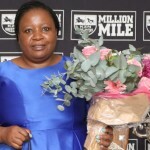 Her sales record is quite incredible – five of her yearlings have fetched a total of R3,885 000, which means her foals average R777 000 per sale, a tidy sum. Her top-seller was the talented Fort Vogue, a son of Fort Wood. 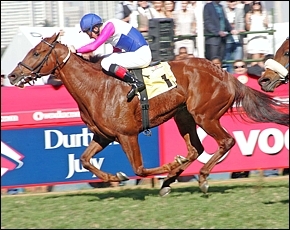 He fetched R2.2 million at the 2007 Emperor’s Palace National Yearling Sale and went onto be a successful racehorse. So much so he was exported to Dubai at the end of last year under the care of Herman Brown Jnr, but he died tragically in January after a morning gallop. He was a six-time winner – his wins included the Gr 2 Peninsula Handicap, Gr 3 Schweppes 1600 and a second in the Gr 2 Premier Trophy. “I have a Fort Wood weanling filly now, who is a full-sister to Fort Vogue. I’m not sure if I will be putting her onto the market because Vogue is not getting younger.” She is currently in foal to A.P. Answer. There is positive talk about A.P. Answer’s first foals, so Peter hopes that her foal by him will be a stunner. At the recent Emperor’s Palace National Yearling Sale, Peter sold Fort Vogue’s half-sister by Jet Master aptly named Whatalady for R600 000. With this filly’s fine pedigree and outstanding looks very reminiscent of her great sire, there is little doubt she will continue where Fort Vogue left off.